Safefood 360° are proud to announce the successful completion of a Service Organization Control (SOC) 2 audit. The SOC 2 attestation report, issued by Mazars, a leading global professional services firm which specializes in compliance audits across multiple industries, confirms that Safefood 360° has met the standards established by the American Institute of Certified Public Accountants (AICPA). This achievement demonstrates our commitment to our IT and business systems’ data security, as well as our availability for customers. In an era where data security breaches are increasingly prevalent and make global headlines, whether pertaining to cases of malicious cyber-attacks, employee negligence, or accidental loss of data, it is understandable to question whether your data is protected to the highest standard from such vulnerabilities and risk. The achievement of SOC 2 is testament to the commitment of Safefood 360° to hold users data to the most rigorous standards and procedures in the industry, and can be used as reassurance by users to both their customers and suppliers that their data is securely stored with the most stringent protection possible. What is Soc 2 and how was this achieved? SOC 2 is a worldwide recognized framework for Software as a Service (SaaS) and Cloud Computing companies established by the American Institute of Certified Public Accountants. 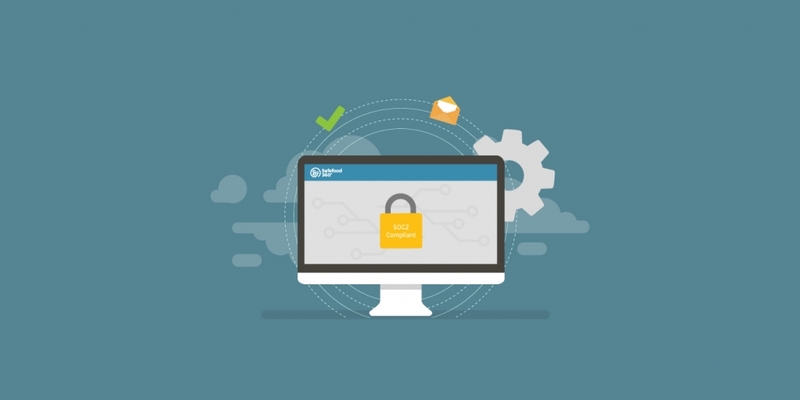 The framework is underpinned by five Trust Services Principles, including security, availability, processing integrity, confidentiality, and privacy. It is widely trusted across industries from financial, technology, healthcare, education, to state government for assurance of information security controls of service providers and strengthening the trust and transparency between services and their customers. Demonstrating SOC 2 compliance for us at Safefood 360° required much preparation in terms of designing appropriate controls, documenting policies and procedures, operating under controls established, and monitoring our system. The independent technical audit results affirmed this, in which the design of our controls complied with the rigorous requirements of SOC 2 at a specific point in time as they relate to the Security and Availability Service Trust Principles, including our control related documented information. The report issued by Mazars contained an overwhelming result in the form of an unqualified opinion, meaning that no exceptions were noted by the auditors, which is a significant achievement for Safefood 360°. 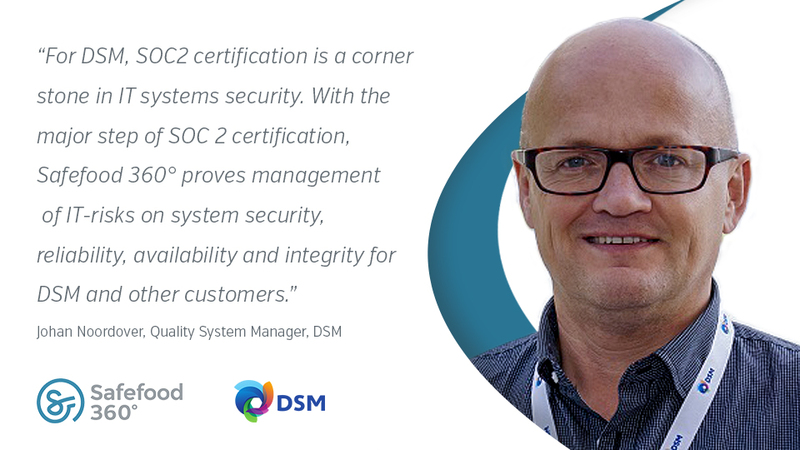 The attestation of Soc 2 compliance is a purely internal achievement within Safefood 360° and users do not need to take any steps to update their data or ensure it is compliant with SOC 2. Users may continue using Safefood 360° as before and will see no affect or changes to their data. For more details about SOC 2 attestation and what it means for your business, please leave a comment below, or contact marketing@safefood360.com. We look forward to continuing to be your trusted software partner in food safety. quality and compliance.